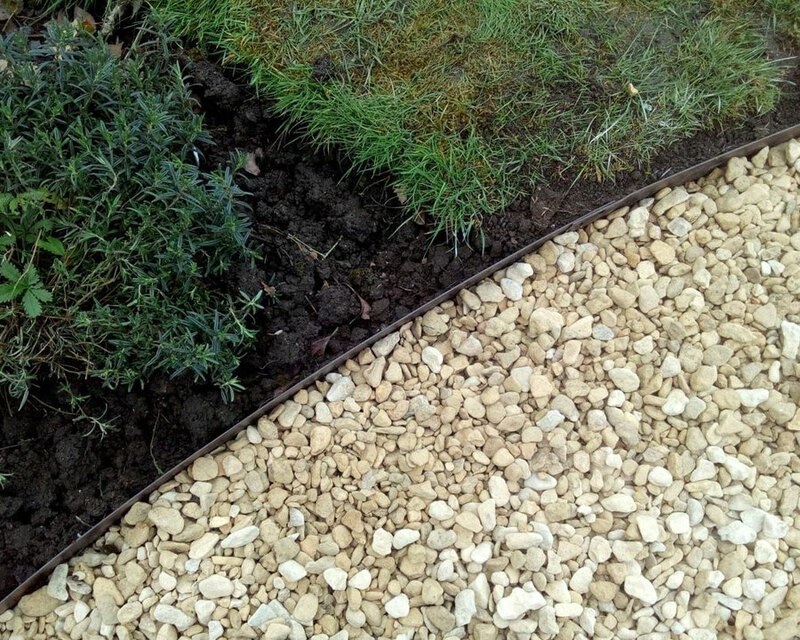 Everedge flexible steel garden edging. 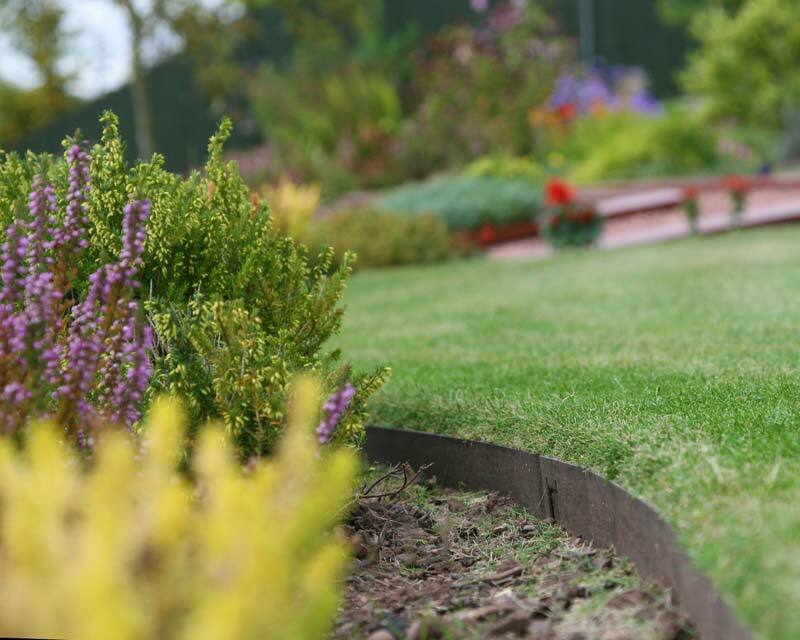 This flexible steel garden edging bends to virtually any shape to ensure crisp and clean edges to lawns, drives, paths, flower & vegetable beds. 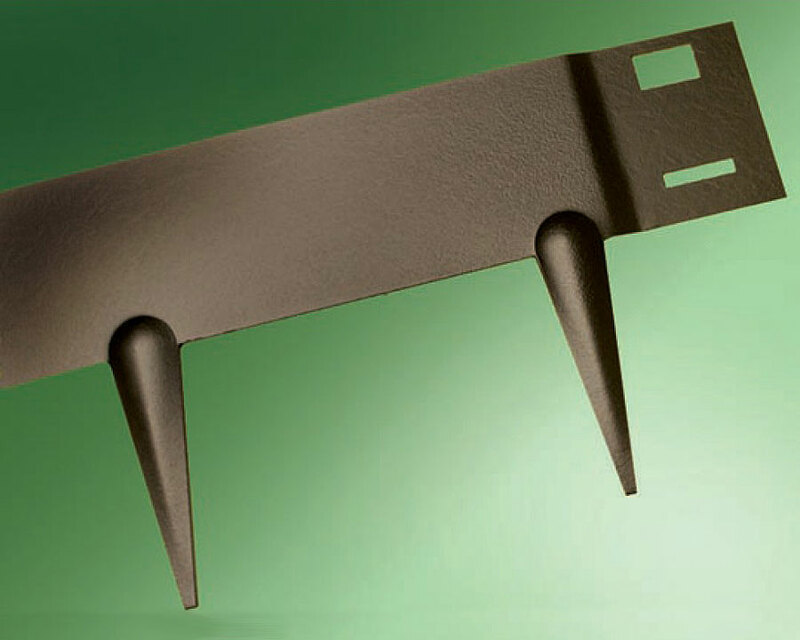 It is available in three depths - 75mm, 100mm and 125mm - with the pins being an extra 95mm long. Each strip is galvanised and fully powder coated for long term protection and durability and is available in brown or black. A plain galvanised finish is also available but only in the 75mm depth. N.B. Packs contain 5 x 1 metre strips each with interlocking tabs. 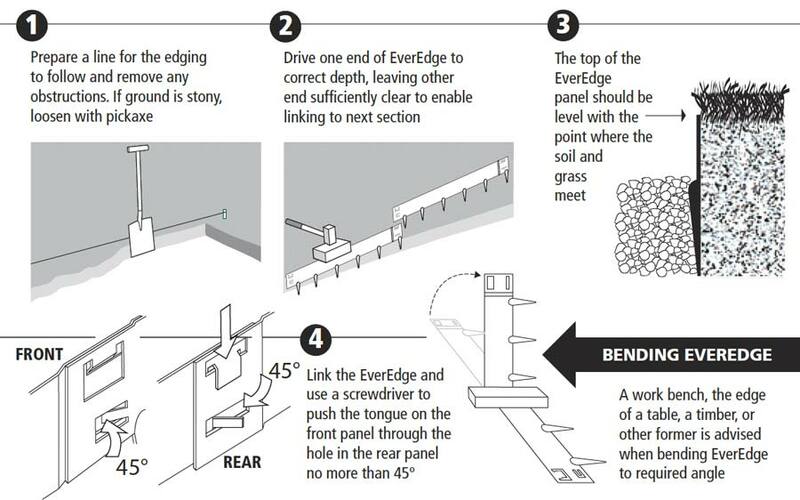 Since EverEdge overlaps as it interlocks you will need to add 6% to the actual linear measurement required. 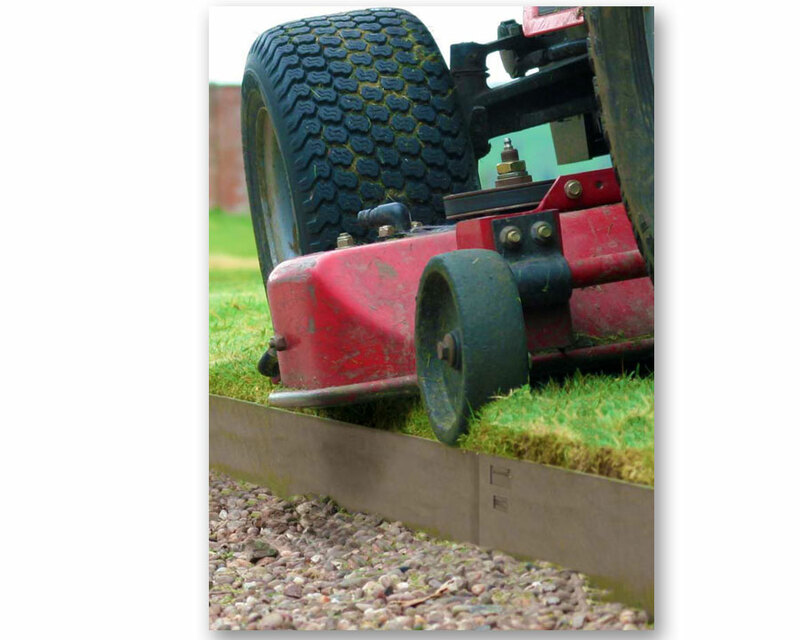 Durable: Made from 1.6 mm gauge galvanised and powder coated mild steel, once installed EverEdge is maintenance-free and will last for generations. Unobtrusive: Intended to be mown over, colours are brown or black. Simple to Install: This garden edging is hammered directly into the ground and easily interlocked with no extra pins, pegs or joiners required. N.B. 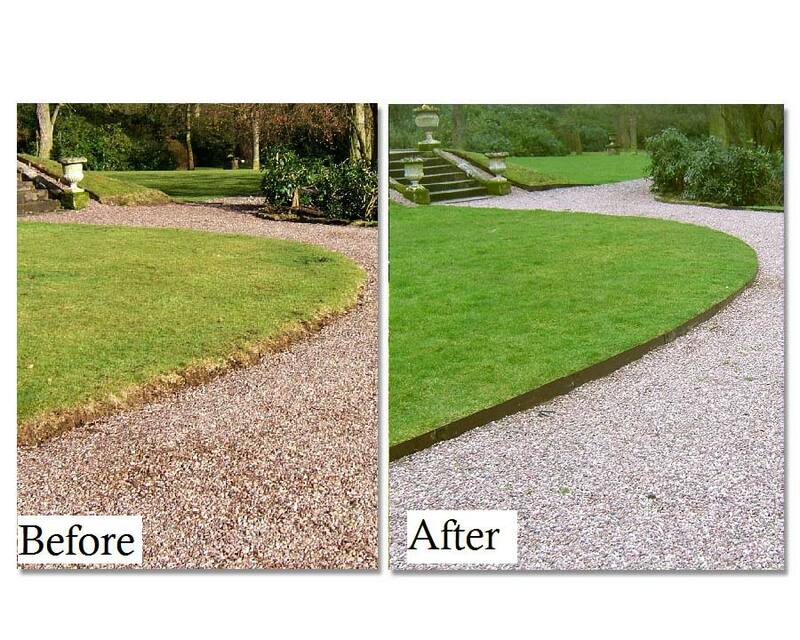 Landscapers are invited to contact us directly for a quote on large quantities. 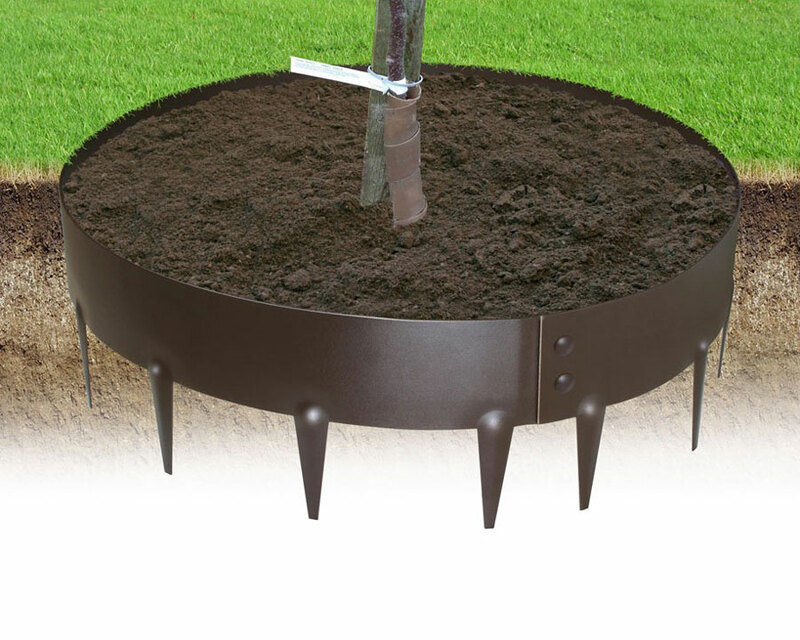 George P. - Canberra ACT: I got some of that plastic edging from bunnings around my lawn but its gone a bit wodgy and Im not sure if its worth replacing it with this steel stuff. What do you recommend?. 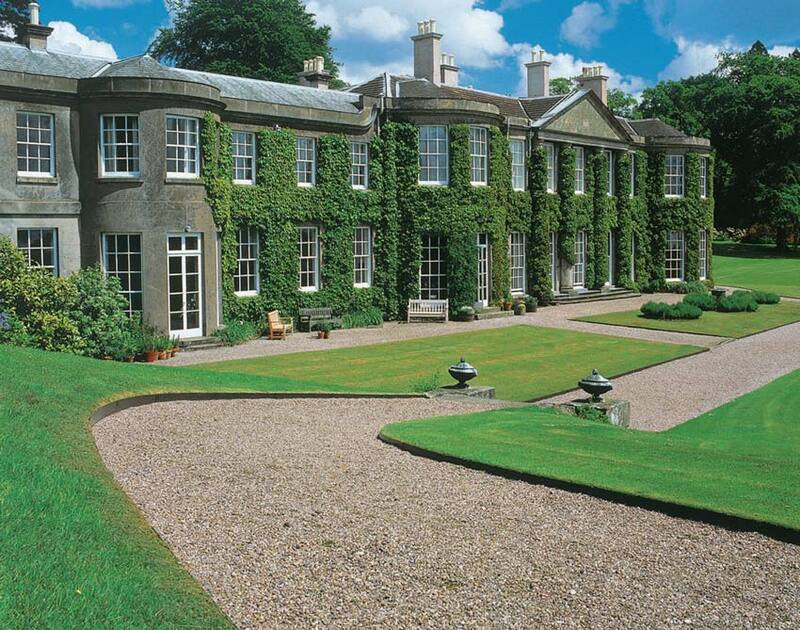 Undergardener - Syudney: To be honest George, it depends how long you reckon you'll stay in this house? If its a good period of time then I'd say yes, replace it. 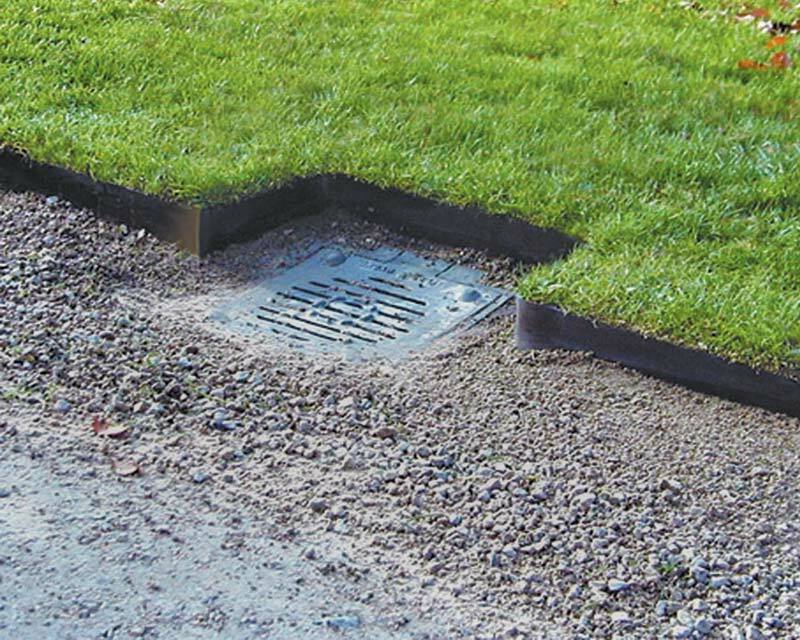 The plastic stuff is quite inferior to the Everedge, but it doesn't degrade quickly so it will last, you just have to re-set it straight and level, preferably with some sand and cement. 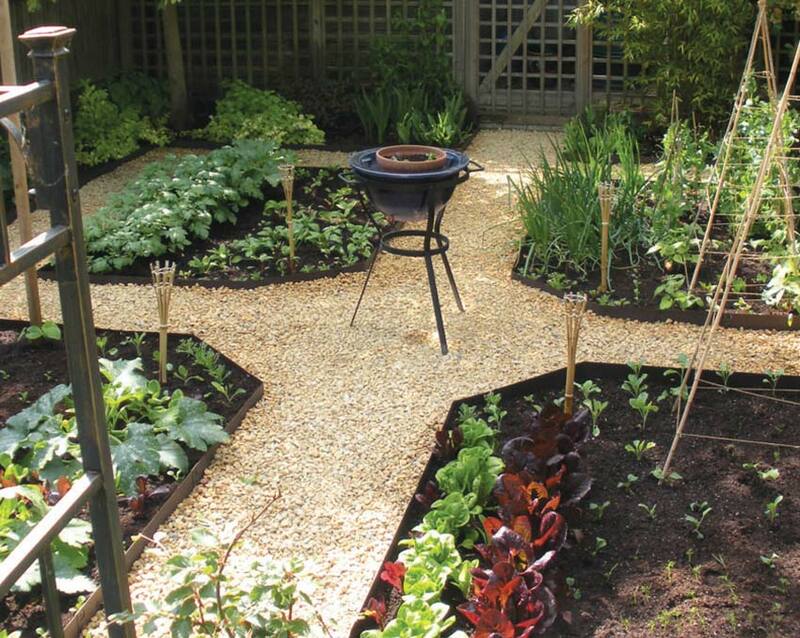 On the other hand if you were thinking of moving then a good looking garden can add thousands to the sale price of a house. 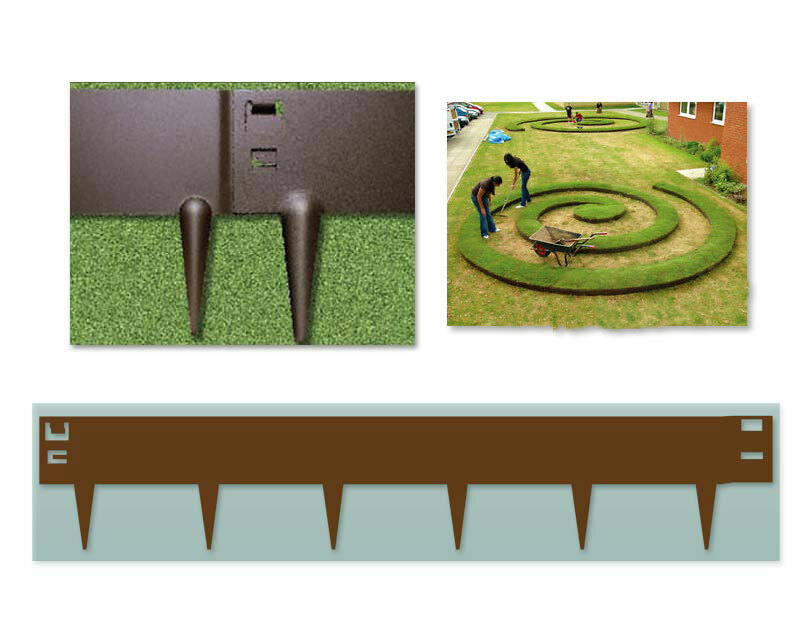 Clean, crisp edges to the front lawn always make a powerful first impression..
S - Adelaide: Hello, wondering if this is difficult to install and how flexible it is? 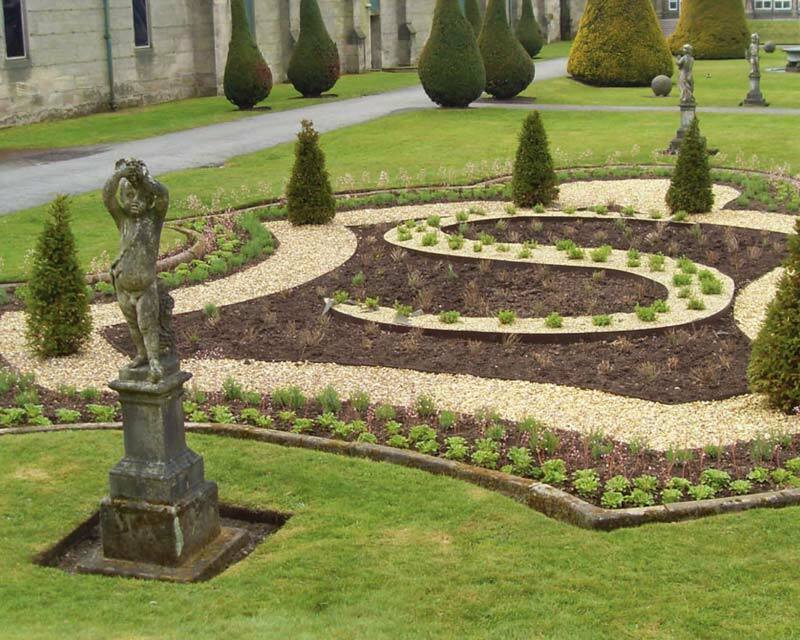 Also, we have very aggressive lawn - will it push up the edging?. Undergardener - Sydney: Hello 'S' from Adelaide. 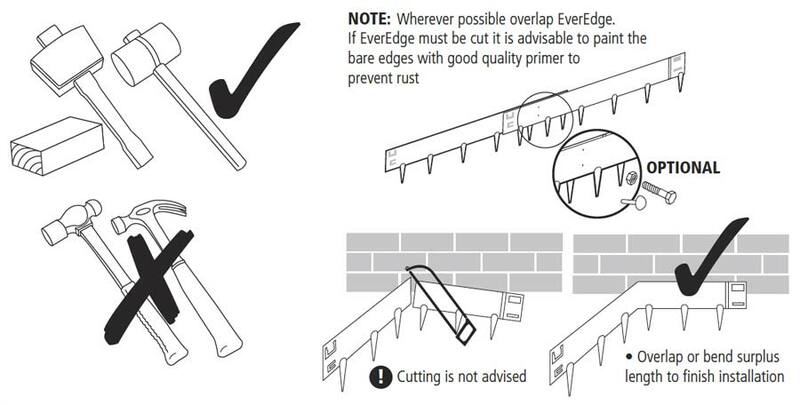 Everedge is easy to install as you can see in the video clip. If you haven't seen it yet then click on the orange coloured film reel icon under the photos above. Youll also see that it is quite flexible and easy to bend to specific shapes. 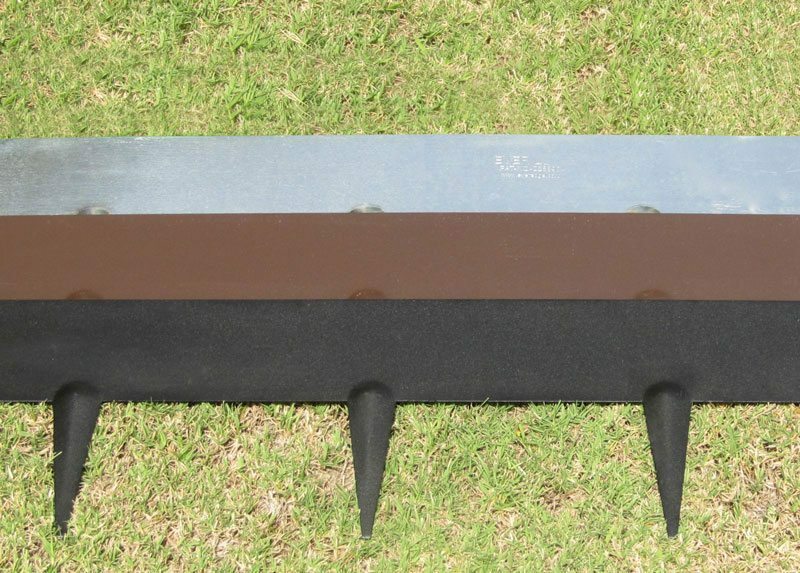 But it is steel, so no amount of push from growing grass is going to make it budge..
Brian Durrant - Melbourne: I have several separate areas to be edged but they are all different lengths (e.g. 7.540 mts, 2.740 mts, 3.020 mts and 3.270mts). 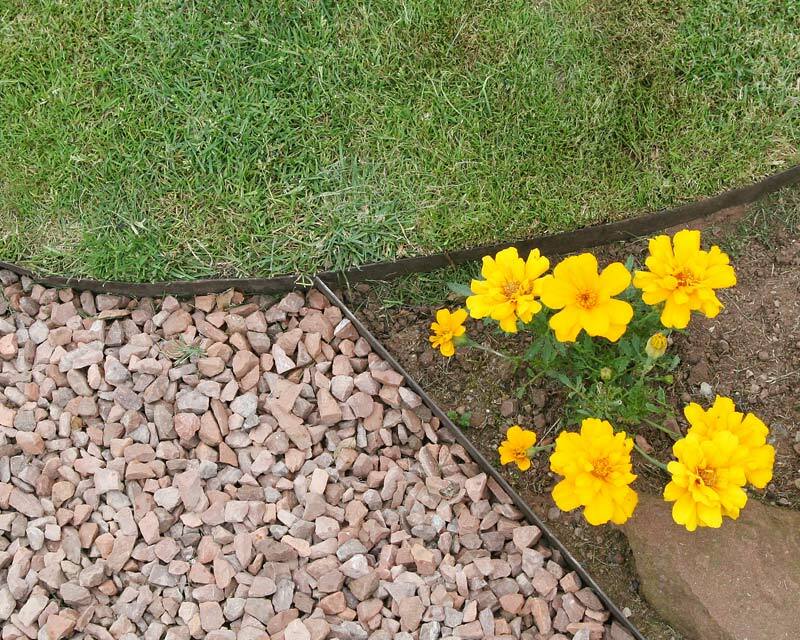 Can the one metre strips be cut to size and does this affect how the product looks..
Webmaster - Sydney: Hey Brian, yes you can cut the edging to fit exactly though you must seal the end against rust. When cut it exposes bare steel so it will need protecting with good quality paint. And no, it won't affect the overall look..
RN - MElbourne: how easy is it to put a circle together, client wants a complete and perfect circle. Webmaster - Sydney: Hey RN, its easy to get a perfect circle. 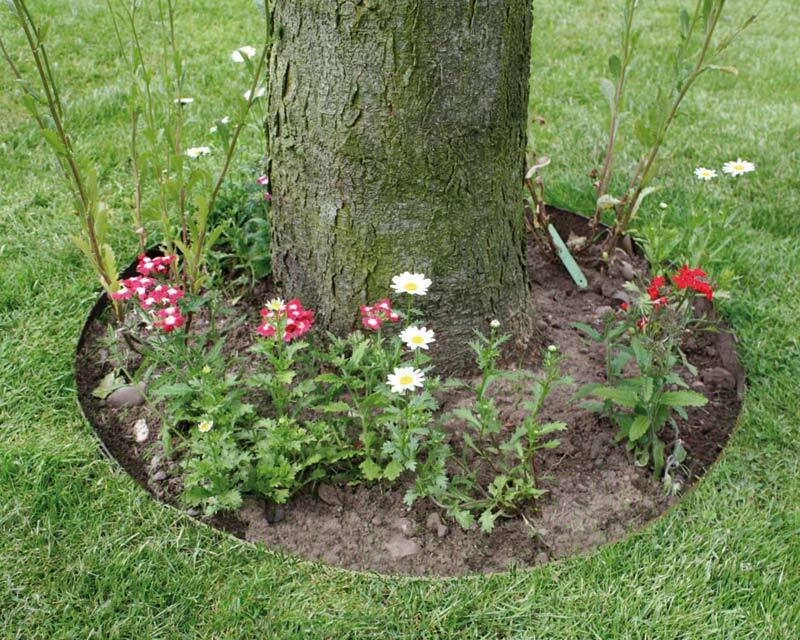 Just fix a peg in the ground with some string half the length of your finished circle diameter. Mark the ground as you move the string round. Dig it out. Fix a minimum of two x one metre strips together or enough to complete the circumference of your circle. Then just lay it in, hard up against the edge you have cut and tap in with a mallet. . . . and you're done..
Jill - Brisbane: Can it be bent to make a sharp 90o angle easily enough?. Webmaster - Sydney: The strips are easy to bend into right angles. See the video clips for this product - just click the film reel icon under the main photos..
Everedge galvanised finish, powder coating colours - brown and black, with the plain galvanised finish only available in 75mm depth. 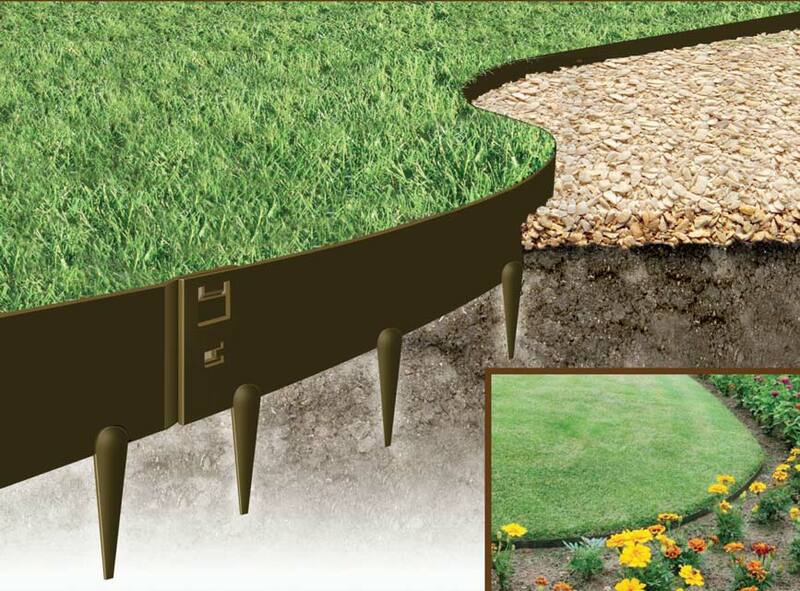 Everedge can be made into a circle though you'll need to drill and bolt it for ultimate strength.